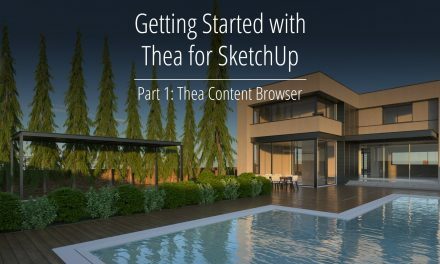 In this 3rd and last part of the Thea for SketchUp getting started videos, we will have a look on Camera and Scene settings, as well as the Batch Rendering tool. 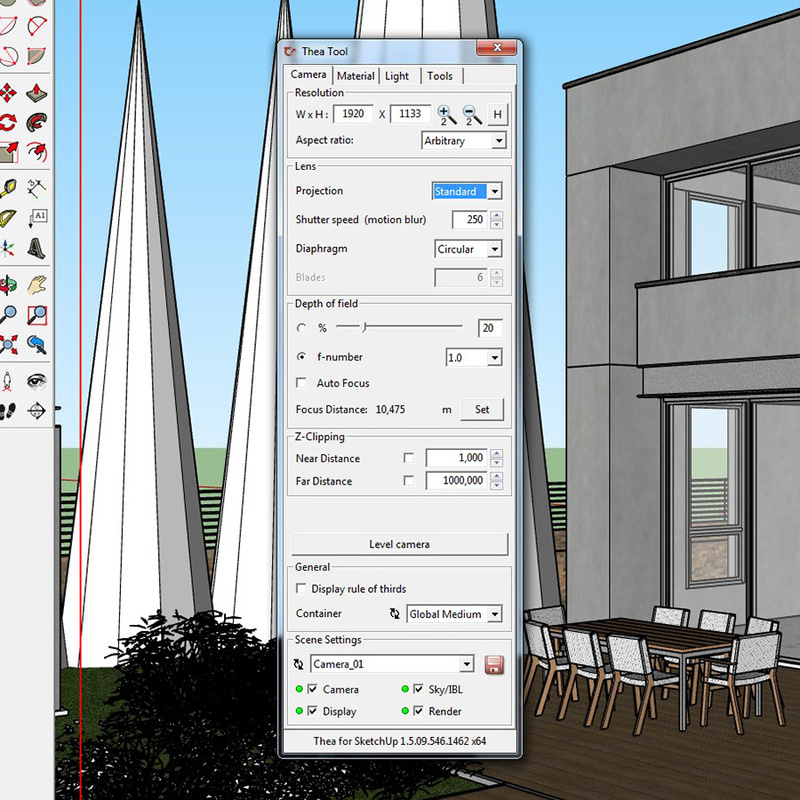 Thea for SketchUp has the option to overlay the rule of third’s in SketchUp’s view. To enable it, open Thea Tools and check the Display rule of thirds option. Select the scene name from the list. and click on the Save button. A green dot indicates that there are saved settings available for the selected scene. You can reset any of the setting types by clicking on the green dot and select Clear Selected or Clear All. To enable Depth of Field, we need to switch the f-number from Pinhole to any number from the Camera Tab of the Thea Tool window. 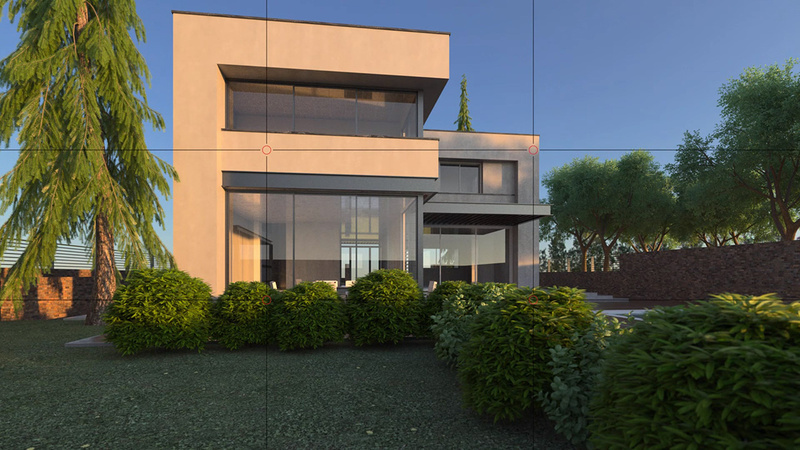 In the depth of field panel, we can also click on the Set button and then click with the left mouse button in the viewport to place the focal point. To access the Batch Render tool, open the Thea Rendering window and click on the button. 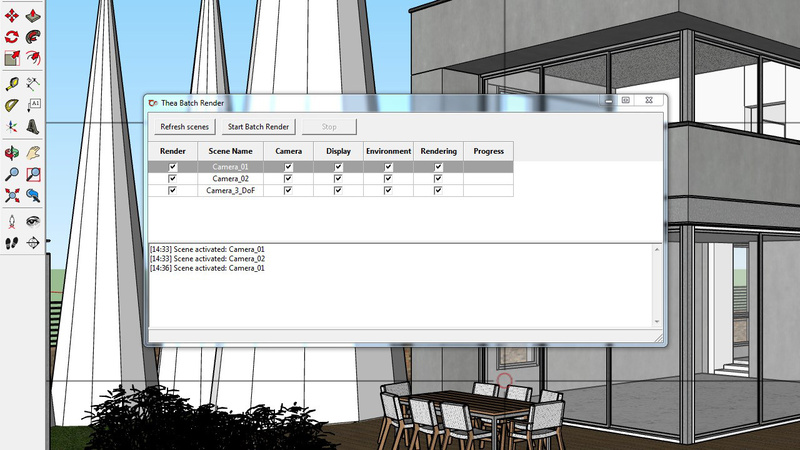 All the SketchUp scenes are being displayed in this windows along with their individual settings. The Refresh button can be used to update the list with the current scene settings but also reset them to their current state if the user has modified them. Double clicking on a scene’s name in the Batch Render tool will force SketchUp to load the selected scene. To start rendering we need to enable the checkbox next to the scenes name that we want to include. By clicking on the Start Batch Render button, we will be asked to select a folder where the images will be saved.